In commemoration of Black August, a dialog on seeking a means to uncover and bring to the surface government misconduct and human rights violations against Civil Rights and Black Power activists. Over 20 governments worldwide have constructed "truth" processes to remember, heal, and seek redress for activists and communities whose human rights had been violated. This forum will discuss the possibility of a process in the United States to address the politically motivated assassinations, imprisonment, and exile of activists of the Black freedom movement. 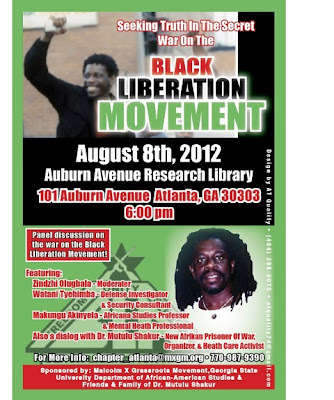 A proposal for a United States Truth and Reconciliation Commission from Dr. Mutulu Shakur will be discussed.